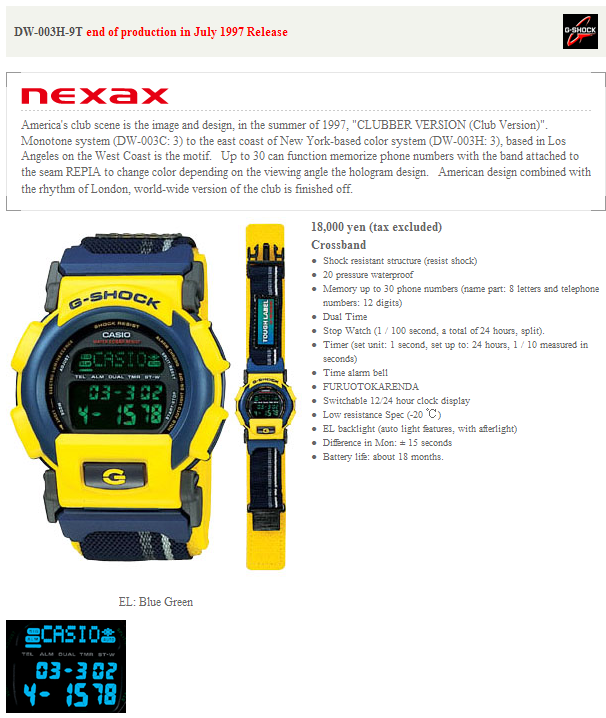 Yellow Tough Label G-Shock watch released in 1997. This one has a negative LCD and came on a nylon band with velcro. page last modified 18:26, 18 August 2009.